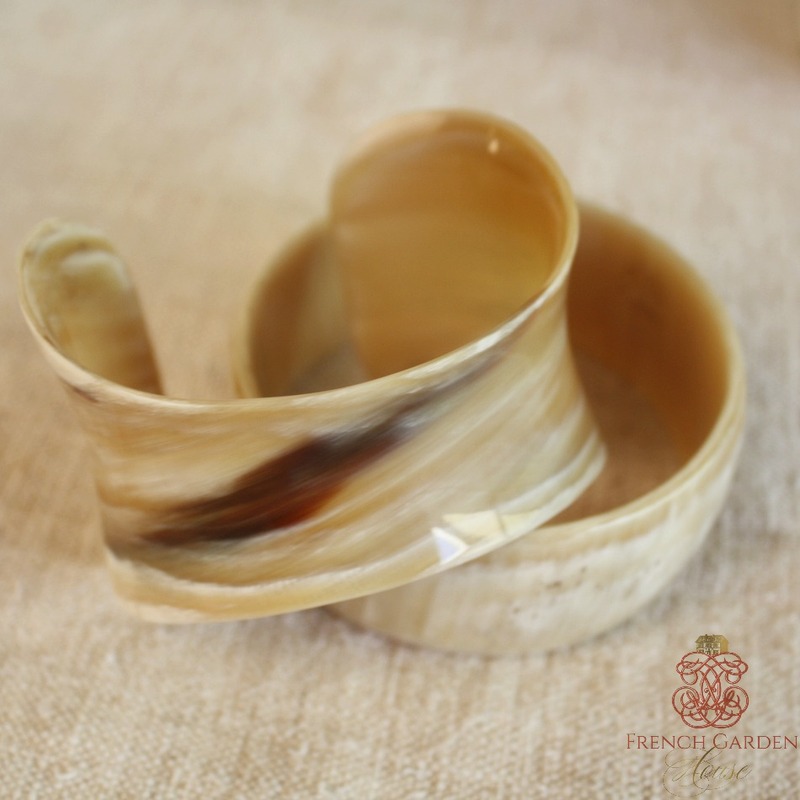 Artistic and elegant, this cuff bracelet has a luminous, subtly varied finish expressing your personal design aesthetic. 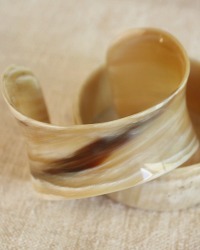 This cuff works perfectly as a solitaire statement or as part of your own chic, stack of bracelets. 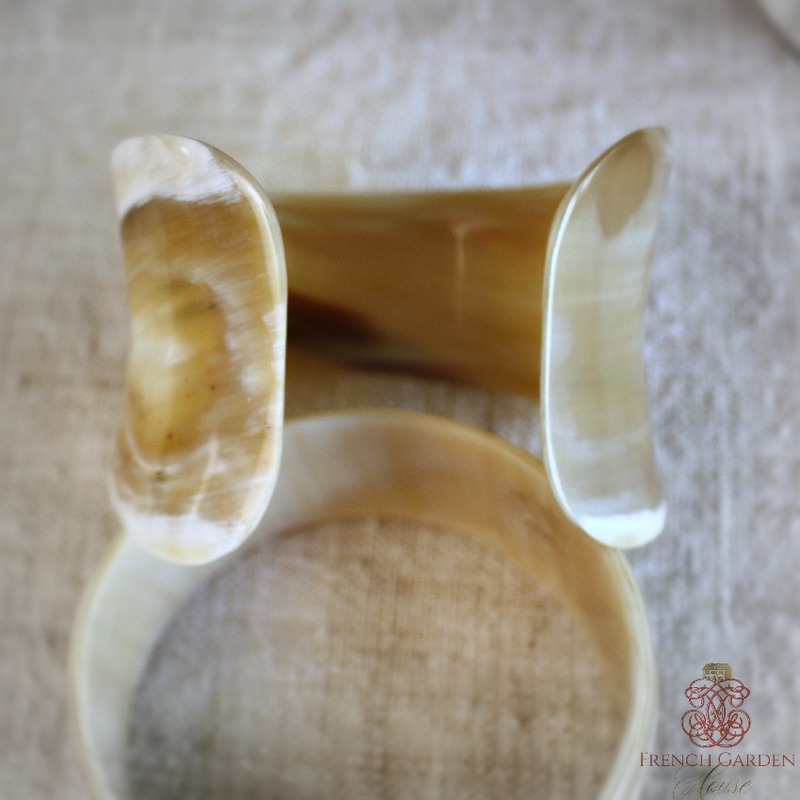 Entirely hand crafted of repurposed horn, it reflects the power of centuries old jewelry, cut and polished by hand to a gorgeous glow. What makes this bracelet special is that you can wear it two ways, with the opening in the back, or on the front. Part of our Well Traveled Heritage Collection. Discover this one-of-a-kind work of naural art that captures your elegance and out-of-the-ordinary style. 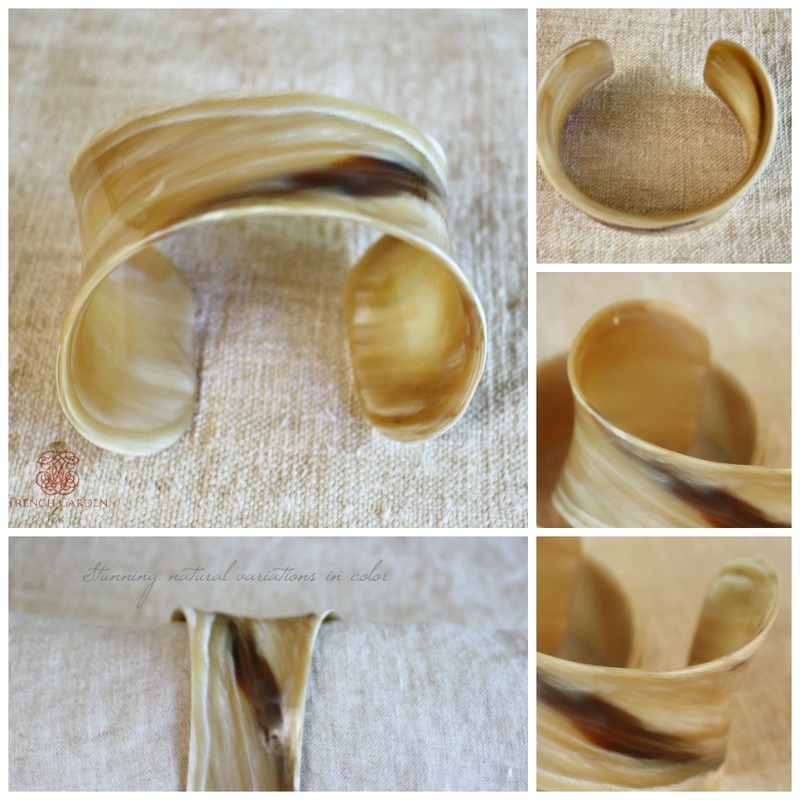 Luscious colors of caramel, cafe au lait and cream combine in this beautiful natural bracelet. Classic and at the same time contemporary, this is a beautiful addition to your collection of jewelry. The cuff is open ended. Fits my 7" wrist with room to spare. Measures 2~1/8" at each end x 3".